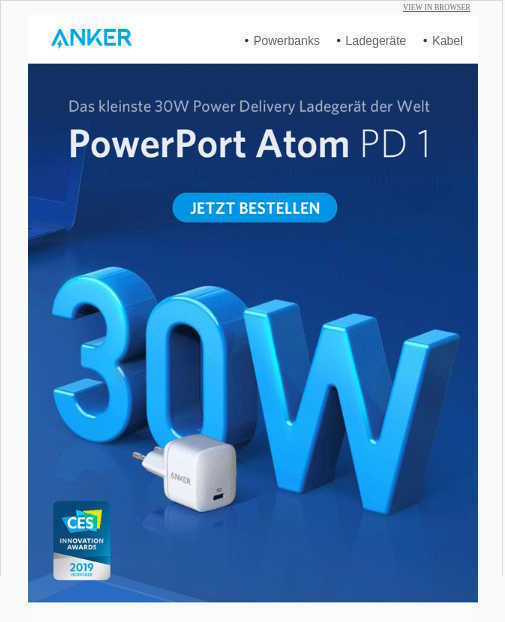 Powerport Atom availabe in DE! Seems we are not totally forgotten! Nice. Glad to see you can get this amazing product. I haven’t bought one yet but plan to. Is it actually available - couldn't find on Amazon.de? Yeah, it just looks like an advertising image above - where is it from? I got this from Anker by email. May be it was a special offer. I really don't know. Otherwise it could have been limited. You might ask the support for getting better information. Sorry I can not give you those.